Marlin Steel is a leading service provider for Custom Precision Metal Punching and Metal Stamping. Included in the Marlin Steel array of robots is an automated 20-ton CNC punch. Our CNC Punching automation brings precision-manufacturing to all of your products. Our biggest clients, including ones from the automotive and aerospace industries, rely on Marlin to meet very tight tolerances and consistent quality for every metal-punch product we ship. Wheel Forming, Deburring, and Offset Capabilities. 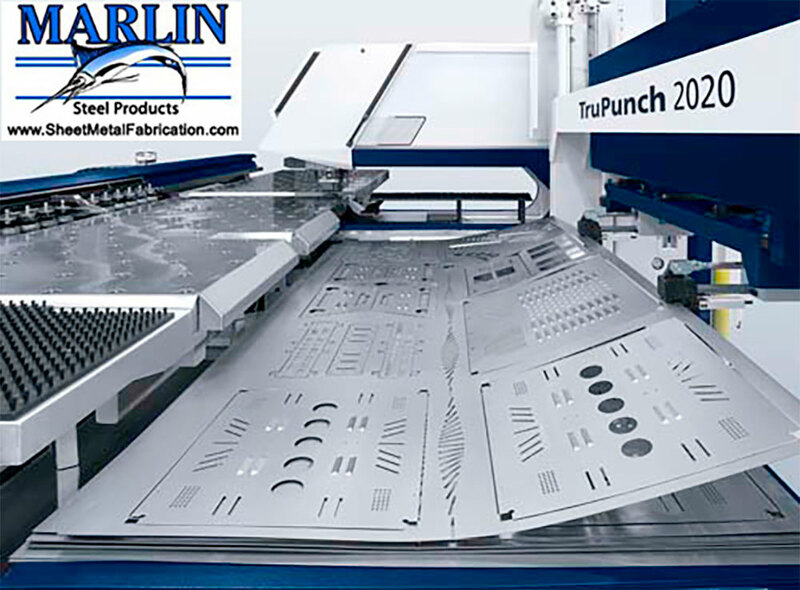 With the precision of the CNC metal punch, Marlin Steel can mass-produce custom sheet metal forms such as sheet metal parts and casings quickly and easily. In fact, we design and produce thousands of custom sheet metal products each week using advanced precision automation for clients all over the globe.